Craft Note: Love Your Mistakes! The art happens in the revision. I suppose I could have also called this short post “Love Your First Draft’s Moles and Warts.” However you look at it, you have to fall in love with your first draft, even if it’s a clunky, undistinguished, vague, pedestrian, mistake-ridden mess. You have to fall in love with the mess that is your first draft because it’s the only first draft you’ve got. And if you don’t have a first draft, you won’t have anything. 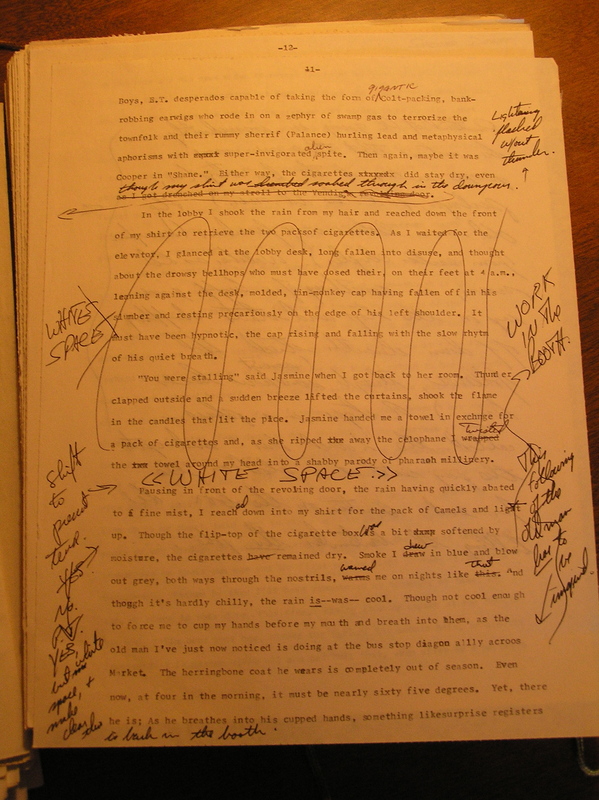 The art of writing happens in the revision of the medium–the medium being the early drafts. Unlike painters or sculptors, however, the writer can’t hop down to the art supply store to purchase a tube or block of medium. The writer has an extra step: he must create his own medium for the art to happen, he must create and love the first draft, however malformed. The writer hung up on perfection is doomed to stasis, or writer’s block, a painful manifestation of the perfect being the enemy of the … something. So, write your own Eliza Doolittle, then become Henry Higgins, fall in love with her, and teach her how to declaim extraordinarily where the rain in Spain stays. You don’t get the refined society lady without first creating he plane Cockney flower girl. There’s no reason to revise something more than three or four times. Bad writers revise constantly. Better writers often lie to make them feel better.